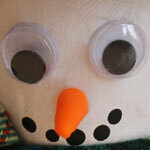 Frosty used to be the main man for kids during these cold winter months. We would all sit around watching and waiting for the most packable snow, just to steal Dad’s hat and scarf to make our own snowman. With our imaginations, we could do anything with Frosty. Today, it seems that a little snowman named Olaf has taken over the Snowy world as we know it. He’s the little guy that just wants to know what Summer feels like. As all the kids go out to make their Frosty’s or Olaf’s, you can taste the joy in the air. Unfortunately, all that snow has to melt eventually, and then our little darlings are just wishing they could have it back. In some places, there isn’t even enough snow during the entire season to make a snowman at all. These are times when creativity is a must. There has to be a way to give the kids their excitement back. 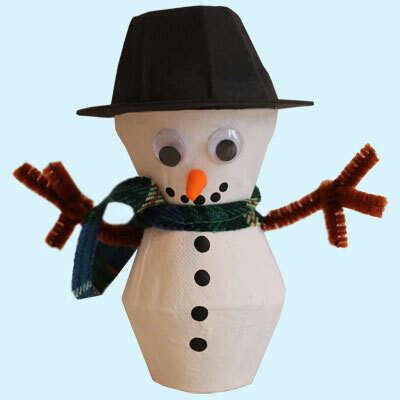 If you take a look at our Little Snowman craft, you will see those requests have been answered. This project isn’t just cutting out 3 circles from a piece of cardboard and gluing things on it. You can count on kids getting fully enveloped here, because they can make their own 3D version of snowmen, women or children. Whatever their hearts desire. I think the greatest thing about this project, is the versatility. 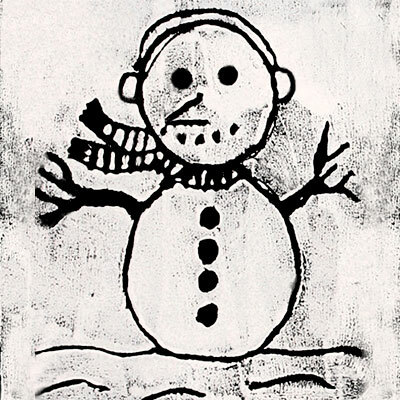 Yes, the basic structure of a snowman is there. But, give a child some different paint colors and see what they can do. 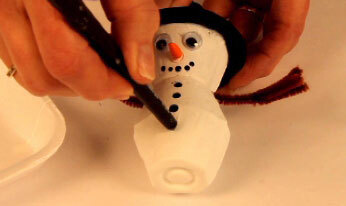 Maybe, their snowman has purple and red spots because they would add gumdrops to the fun personality. Winter tends to be harder on kids and parent’s due to the fact that it is cold outside. Sure, there are electronics to keep those little minds busy, but let’s face it… Those aren’t exactly the best options for all day nourishment. As the temperature’s drop and there’s no rain or snow, kids can find it hard to accept that given time they will get to play outside. 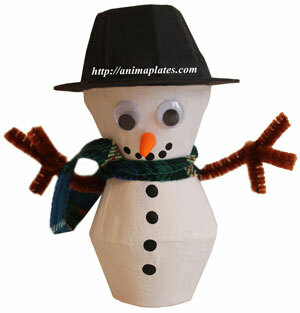 After some time, they will get to make snow angels, have snowball fights or even make a 4 foot tall snowman. Though, waiting is not their strong suit. Increase the children’s wait abilities by helping them forget the time. Stretching their imagination skills will give them the needed nourishment, and they won’t even know it is expanding their capabilities. That’s a great part of participating in this craft and others like it during winter. 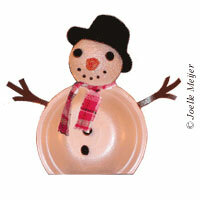 Go have a great time getting crafty, singing and overall enjoying the cold weather indoors and the kids will too!